The New West family has some new faces. These musicians are dedicated, determined, and oh so eager: most of them are the first in their families to learn an instrument. The pieces they are currently aspiring to play include D-A-D and the ant song, and they are anxious to reach the big milestone of the summer: using their bows. These 30 budding violinists and cellists- ages 9 through 11 – are adding a new sound to Harmony Project Ventura, building on the work of our wind and percussion players, some of whom have already been playing for two years. 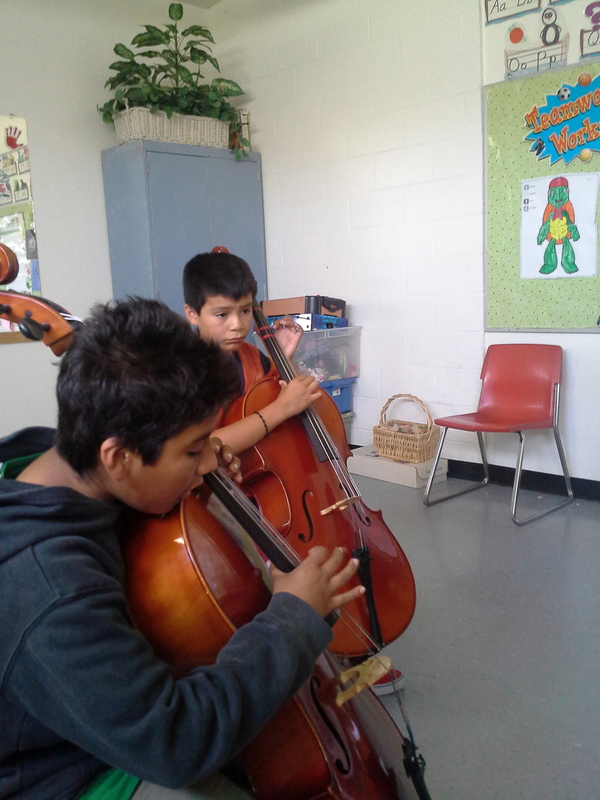 We started our first week without instruments, instead making music with our voices and bodies, recalling concepts from Musicianship class last semester, and preparing for the responsibility of playing and taking care of a string instruments (as well as building up some of the excitement…). 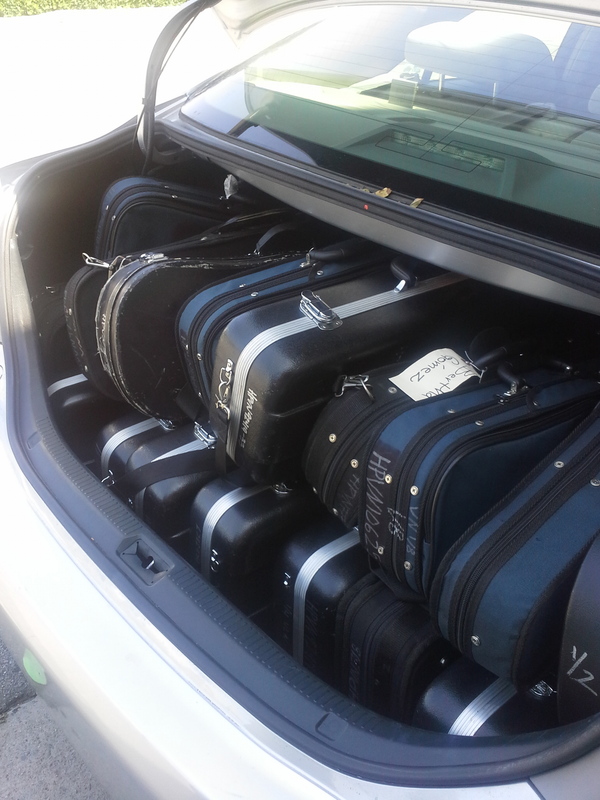 The violins and cellos, generously loaned to us by Harmony Project LA, made the trek through the 90 degree afternoon heat and rush hour on the 101 to the Ventura Boys and Girls Club where their new owners awaited. The kids had different words to describe how holding their new violin or cello felt: “weird”, “cool”, “big”, “crazy” – everyone, however, was aware of the responsibility they were undertaking. One of the best parts of this class was not handing out instruments or hearing the kids play their first piece together, but rather seeing the natural teaching skills of many of the students. Our learning was in part done “telephone style”: showing one person a note or technique, and then sending them into a corner with 2 other students, who then learned from them and came back to show the rest of the group. So much lies ahead of us, and it is easy to get carried away by potential and possibilities. Our priority for these next few weeks, though, is laying a foundation and creating a culture of a strong and supportive community in which our students can thrive. 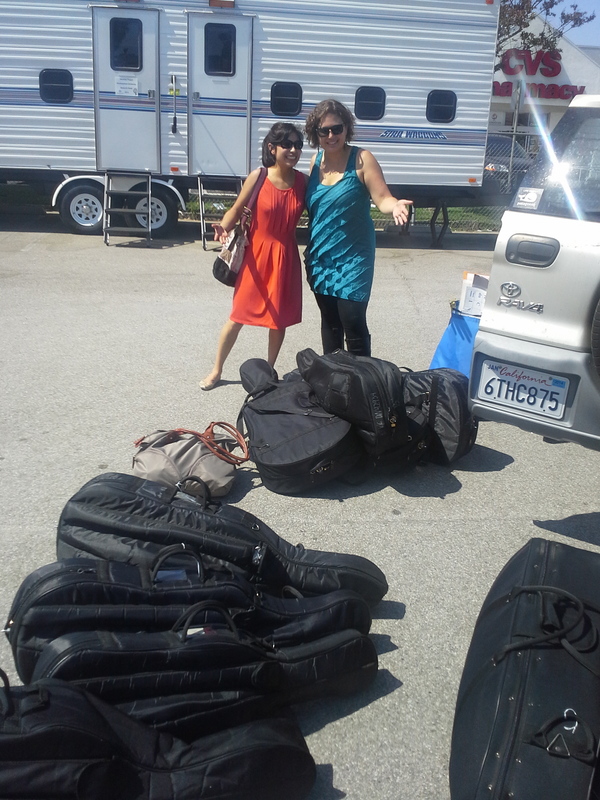 For now, that means a day of good posture, helping out friends, and composing songs with the 4 notes we know. And an evening to go home and dream.